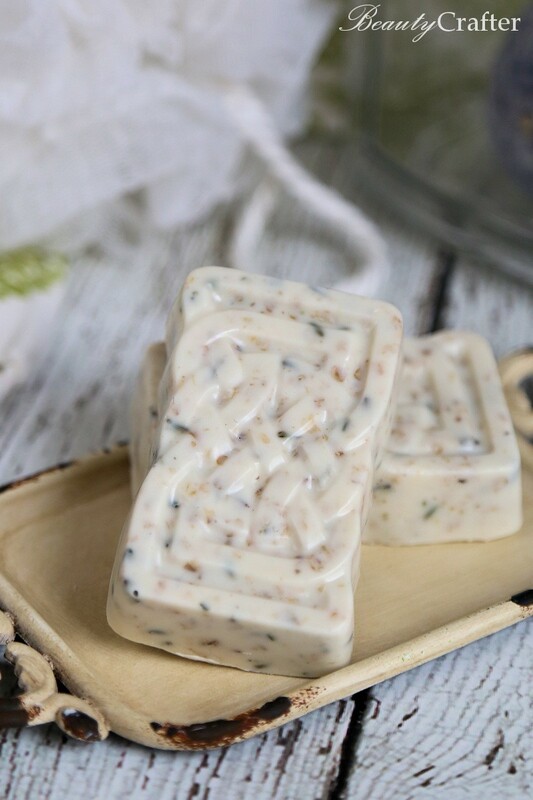 Easy lavender oatmeal soap recipe using melt and pour soap base. A great homemade lavender soap recipe for beginners and easy gift idea. 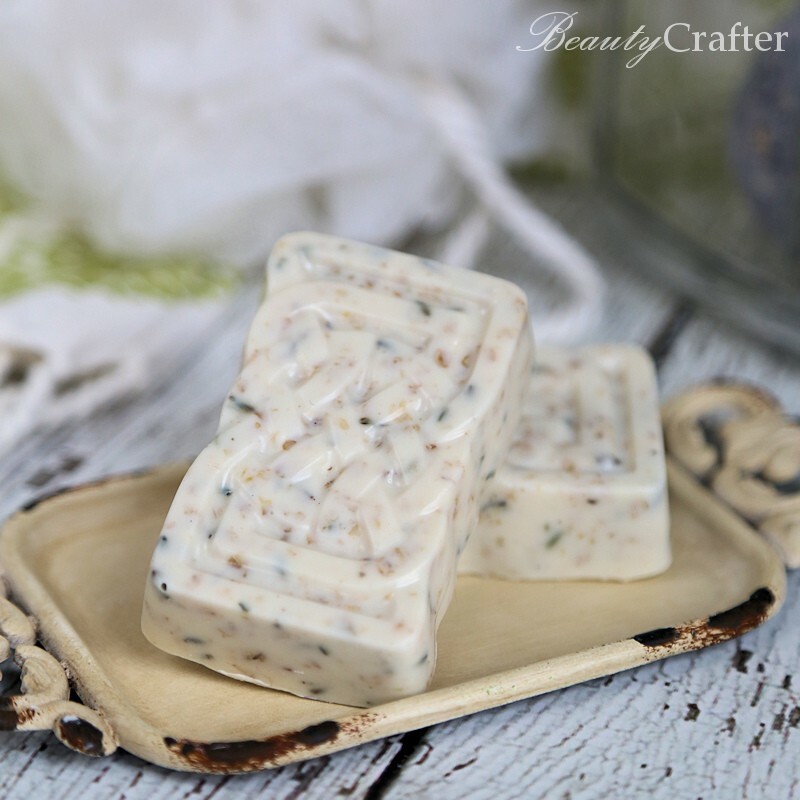 I enjoy making this soothing lavender oatmeal soap recipe. It is super quick and easy, yet the results are clearly a handcrafted soap. The use of a natural grain and lavender flowers makes it quite evident that this soap is homemade. I think that is especially nice when making gifts. The soap makes a wonderful Mother’s Day, birthday or thank you gift and only takes a few minutes to make a batch. This is a hot process soap so is ready as soon as it cools making it a wonderful last minute DIY gift idea. Here is how simple it is to make hot process lavender oatmeal soap with a melt and pour soap base. Full directions below. 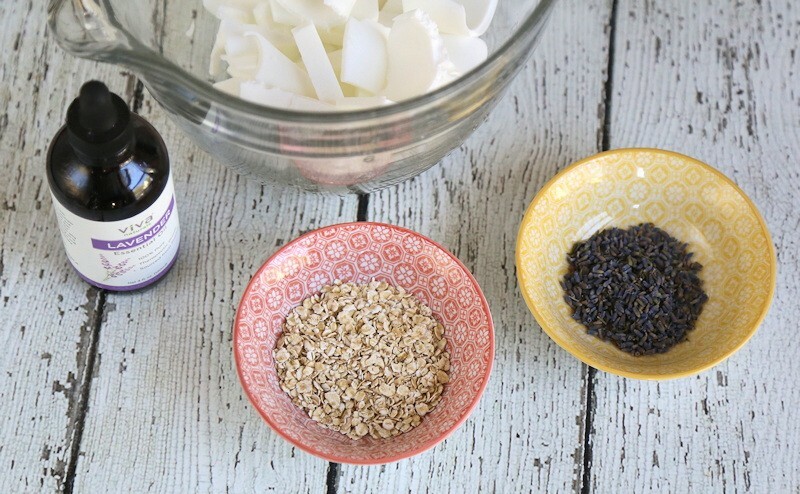 The Lavender Oatmeal soap recipe only takes four ingredients to make. All store well for future batches and most of us already have oatmeal in our pantry anyway. The soap can be melted right in the microwave, along with the oats and lavender flowers, then just add the essential oil and pour into molds. Pop the soap out of the molds once cool. That’s it. This soap pairs wonderfully with my Soothing Lavender Oatmeal Bath Bombs and would make a great combo for a gift basket. Check out the bath bomb recipe . 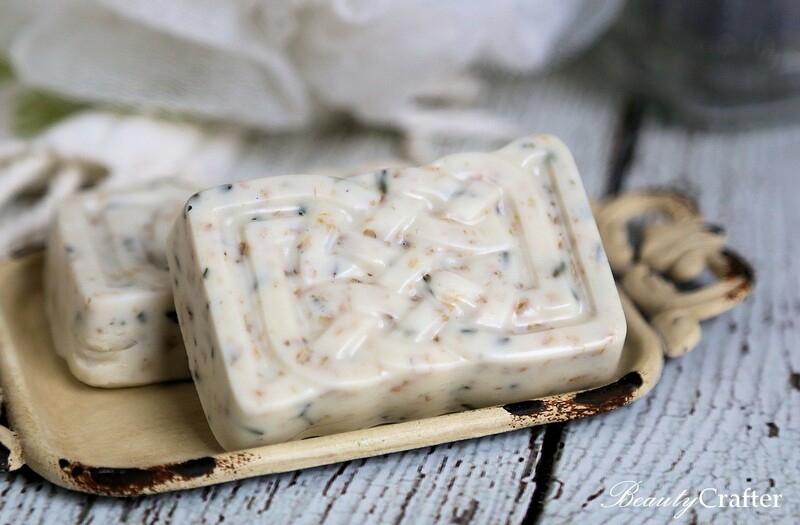 Here is the easy recipe for this homemade lavender oatmeal soap. Your skin will feel great after using it. 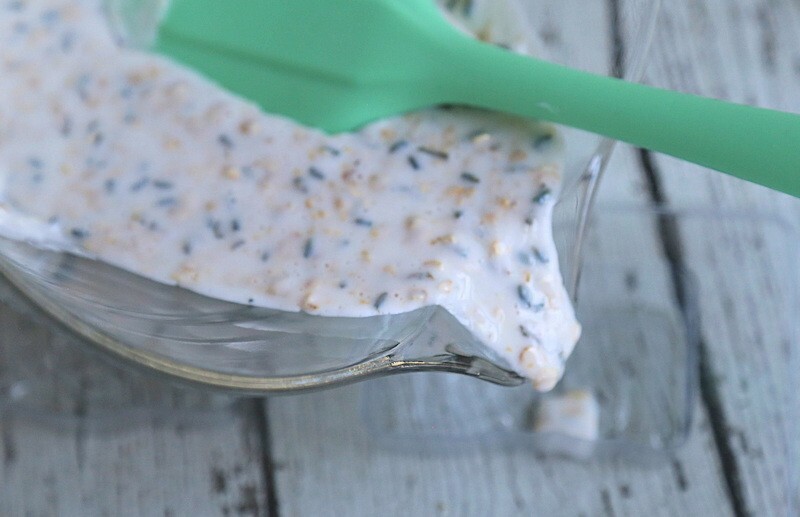 Chop the melt and pour soap into chunks and add the oats and lavender. Microwave until melted. This should only take slightly over a minute. Add the lavender essential oil and mix well, then pour into soap molds. Allow to fully cool until hard before popping out of the molds. Chilling the soap bars in the refrigerator is fine, but do not freeze. If you like the molds I used, they actually came out of a kit I bought when I first tried making soaps. It doesn’t contain the ingredients I used here, but you could use the white soap base in it instead of goat’s milk base. All you would need then would be the lavender essential oil, flowers and oatmeal.